This is, in the end, a simple one to understand, but started with a QT application that when it imported a text file produced on a Windows machine with Notepad, and exporting the same data as in a UTF-8 file, turned the Euro character (0x80) into (0xC280). Now this displays as a € sign in a QT application on Linux, but not on Windows. It also does not show in gedit in Linux, but does work in Libre Office. 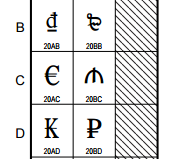 Whereas character 20AC is defined as the Euro. The cause of the problem is the use of the incorrect Codec used to load the file in the first place. 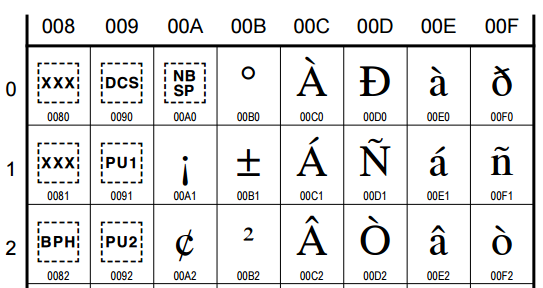 A common mistake is to assume that ISO8859-1 includes the Euro sign, however, ISO8859-1 Does not actually define the Euro character (€) at all, but because this mistake has been made many times over, a lot of applications (including QT and Libre Office) display the character as a Euro. A down-side of this helpfulness is that it is perfectly possible to have a text file with two characters that look like the €, however one could be unicode character 0080, and the other could be character 20AC - if you searched for a Euro, you would only find one of them! 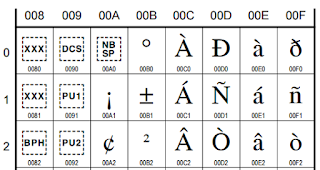 Codecs that do correctly include the Euro character include: Windows-1250, Windows-1252, and ISO8859-15. QT has the special Codec called 'System', which is whatever the system is using (this should be the same as 'Notepad' - it can be referred to by codecForName("System") or codecForLocale(). In QT applications, when loading text files, it is possible to assume that the file is UTF-8, and failing that, fall back to the preferred alternative, or the default system codec.